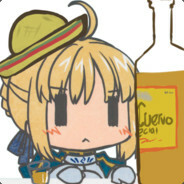 Saber is Kawaii-Kawaii-Desu-ne. And I will cut you if you say differently. "you can't corrupt her, she's like an innocent flower"
"she's an innocent flower who kills children?" "People are pissed off because everyone's dieing"
"I'm pissed off because I'm black"